A year ago I'd just arrived in Vietnam, a country that was totally new to me. 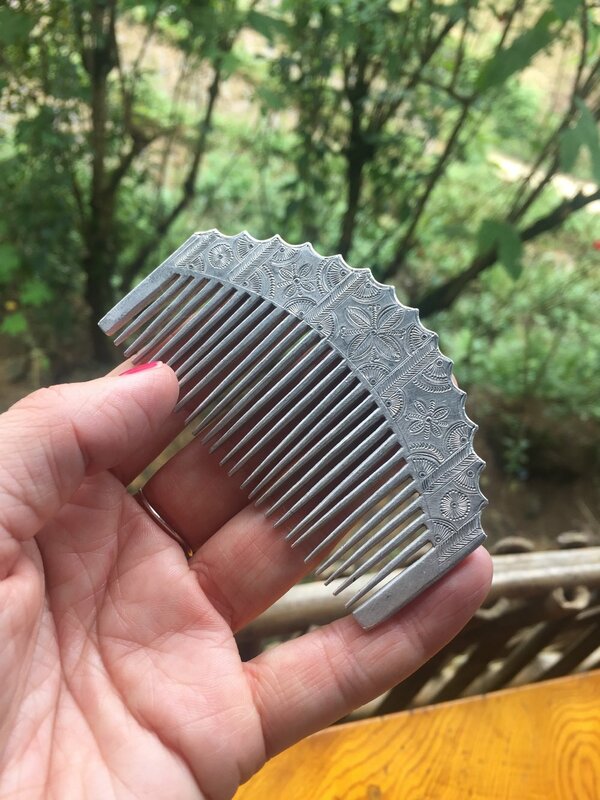 I was confident that I could just rock up in Hanoi and find my feet, but I also wanted to head north to visit the ethnic minority groups and see their textiles. My experience with areas like this is that you can really get it wrong, putting money in to the wrong hands and then being led through villages as if they were zoos. It's the reason that despite visiting Thailand many times that I've never gone to the hills. 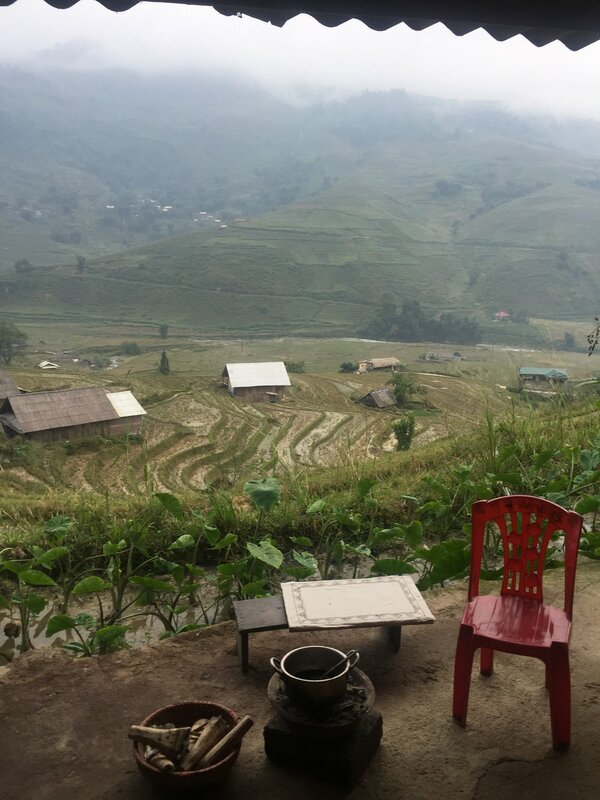 So I did my research this time, and I hope that this blog will, in turn, help people to make informed decisions about where to stay and what tours to take around the area of Sapa. The groups of people who call this region home are often marginalised, and much of the money spent visiting them goes to tour operators from the big cities rather than back into the local communities where they really do need it. 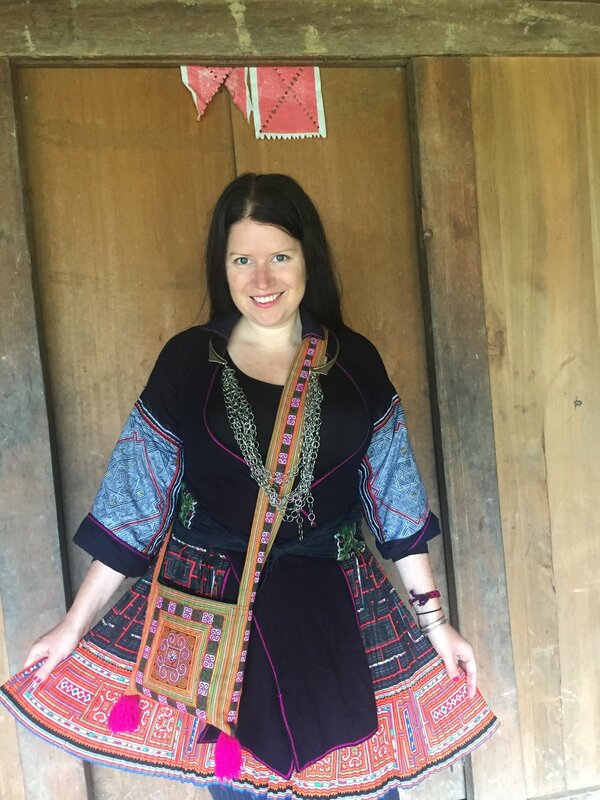 Before I went solo to Laos in 2014 I chatted via Instagram with Lauren Lancy (who has since launched a wonderful online magazine and shop The Kindcraft) and Emily Lush (photographer and writer) and managed to meet them both in Luang Prabang for tips on the textiles in that area. And then 3 years on, these ongoing connections led to me to talk to, and in some cases meet, other South East Asia textile experts who gave me invaluable advice. I'll link to everyone's instagram at the end of this post as they are an inspiring bunch and it’s worth following them all if you have an interest in the region. 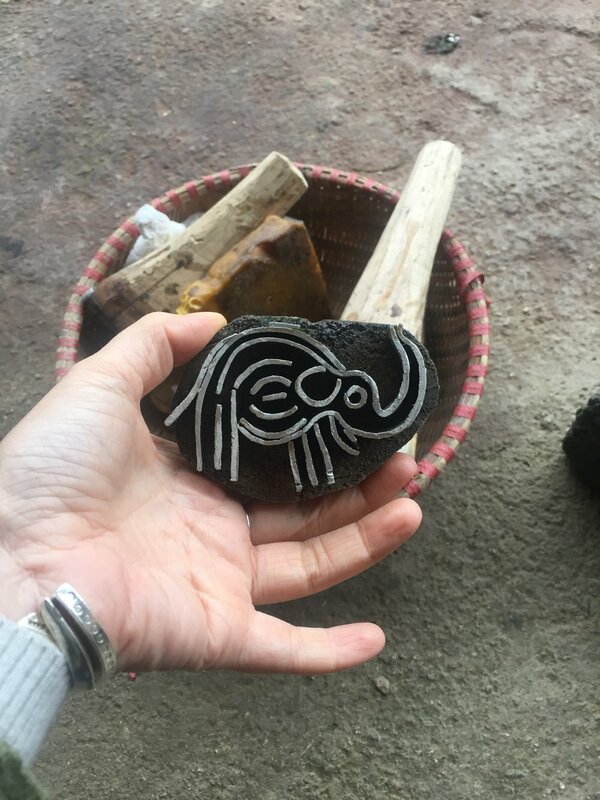 I had a generous amount of help from Lucy Patterson, a researcher who has an unrivalled collection of ethnic minority textiles from Northern Vietnam (read about how she's gathered that collection here, it's fascinating). 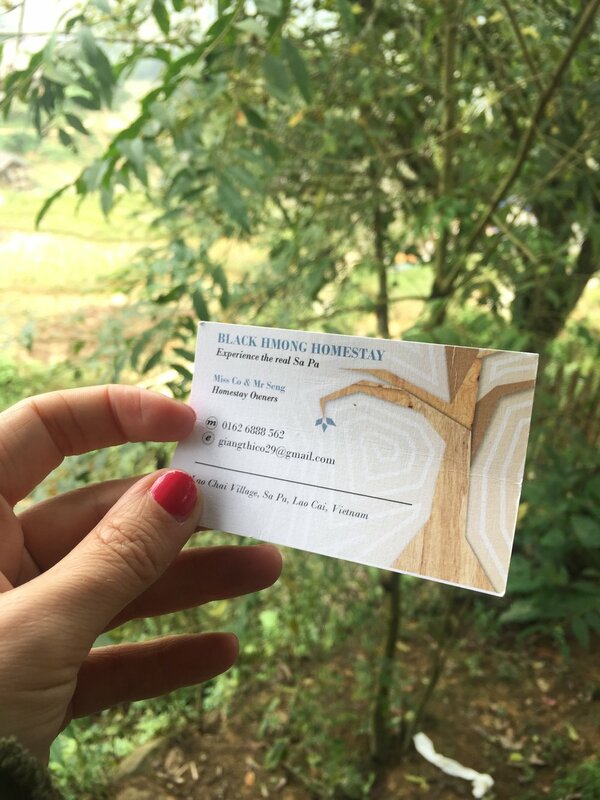 She put me in touch with a local ethical tour operator / social enterprise should I need them (Sapa O Chau) as well as a private homestay with Co and her family (Big Tree Hmong Homestay). 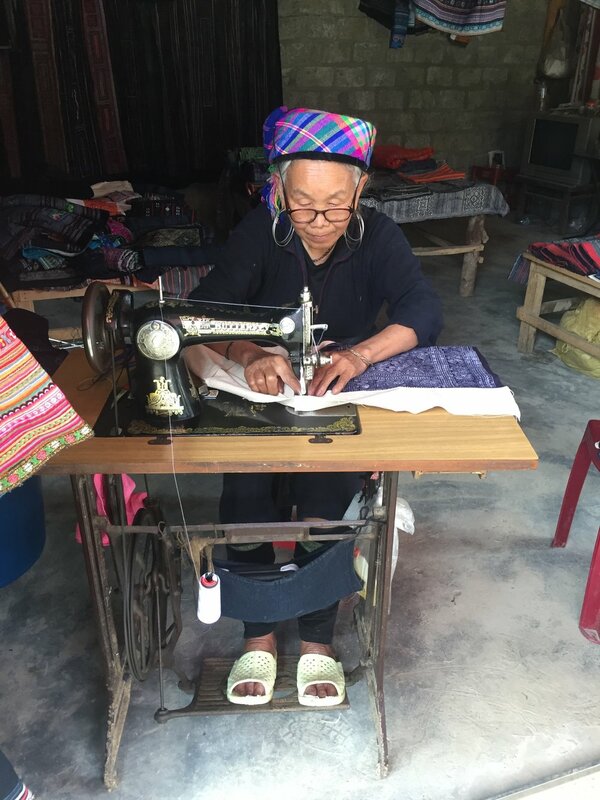 I went to the Sapa O Chau office in Hanoi to book my bus ticket (much more convenient than the train) and made my way up the winding road to Sapa where I was met by Co who helped organise my taxi to the village in which she lives. She then hopped on the back of her husband’s motorbike and met me in their village at the path to their home some time later. My stay with Co and her family was really special. I spent alot of time with her and her friends, and we talked about how some women in the villages have helped to change things for the people living there. 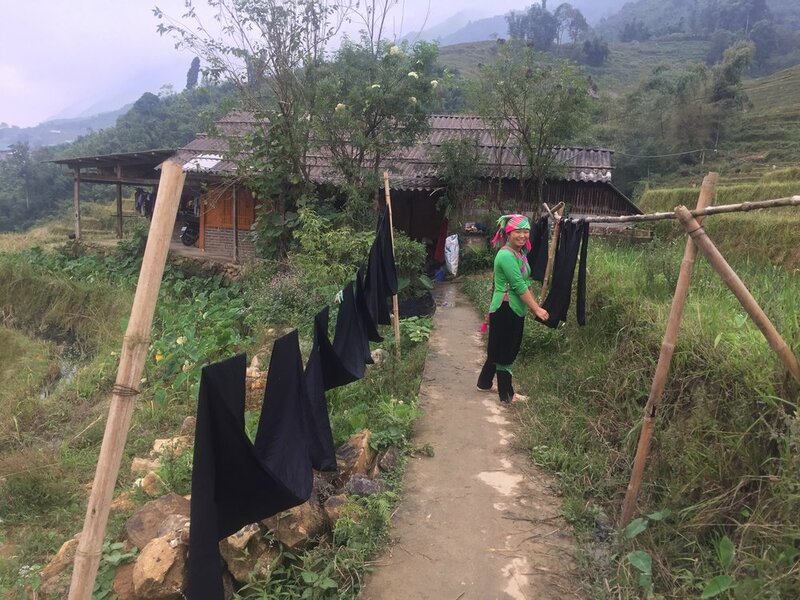 Whilst the men continued to farm, the women sold handmade textiles to tourists who were in the area for hiking. In turn they learnt English and other languages, and this improvement in communication encouraged more people to the area. This meant more money, which (for some) meant electricity, mobile phones, education, the internet. So it's a fascinating place to be and to visit, increasingly modern yet traditional all at once. The weather was wet and quite cold when I was there, and I'm more of a walker than a serious hiker, so Co took me on an easy walk for a couple of hours around the local area. 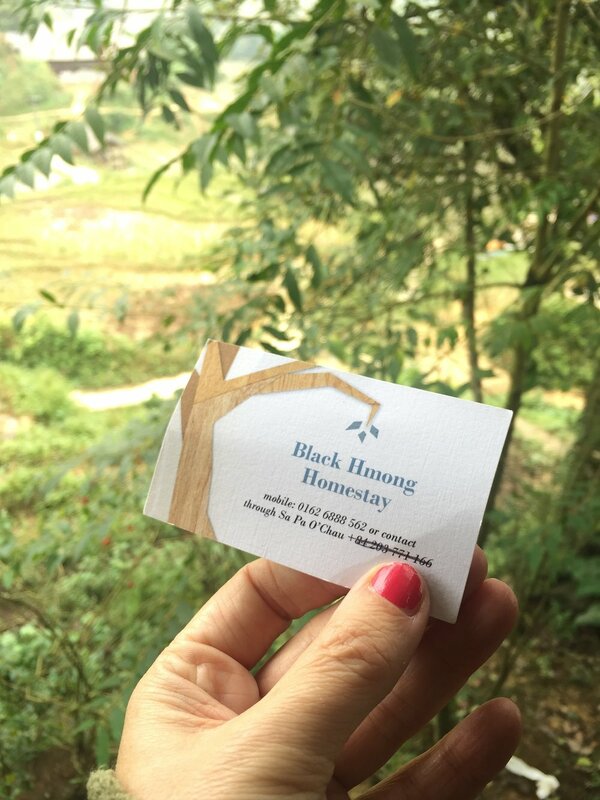 I had arrived with terrible pain in my shoulder and neck, and she did some cupping on me before we left the house and then took me to have a traditional herbal bath which was 100% magic. 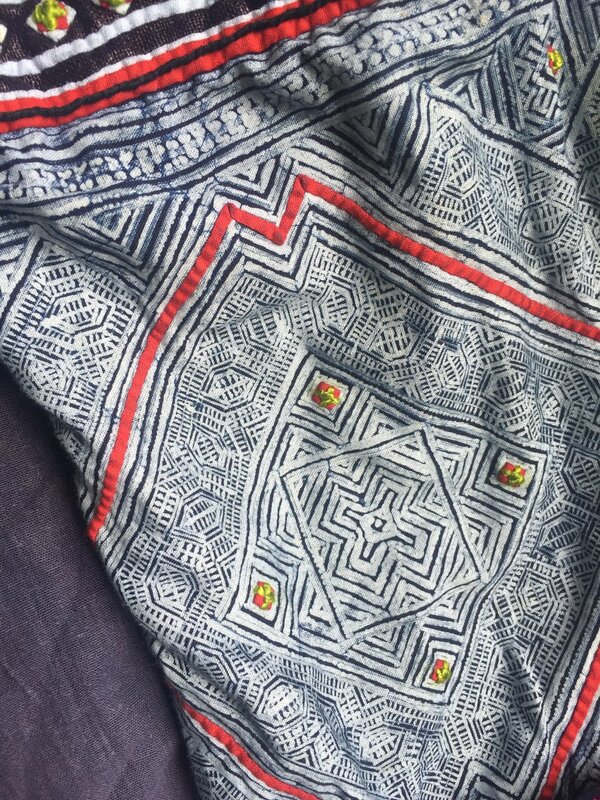 In the villages we met women doing batik work and embroidery, and often stopped to chat and watch them create. 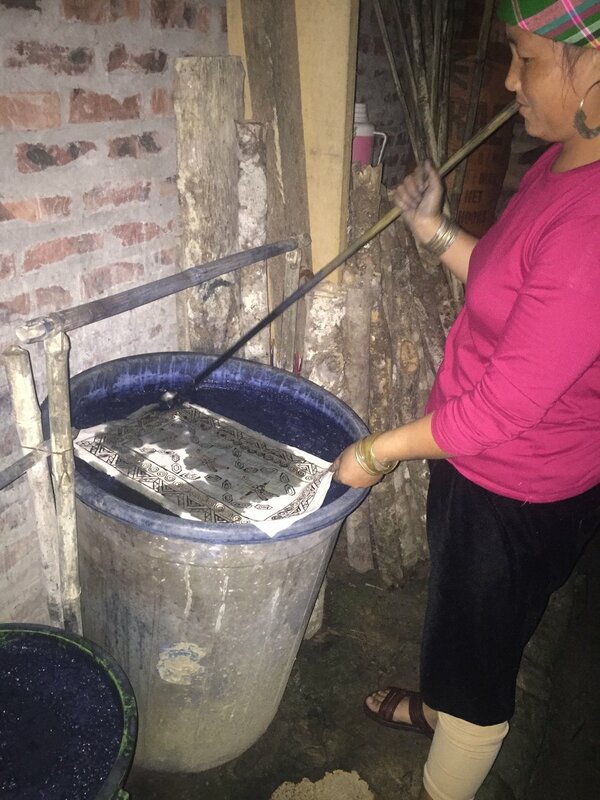 I also had a one-to-one indigo batik lesson with a family member who lived next door to the homestay. It was the relaxed, informal and informative trip that I'd so wanted and I feel happy that I'm able to pass this information on to future textile tourists. Option of single room or shared room with other trekkers. 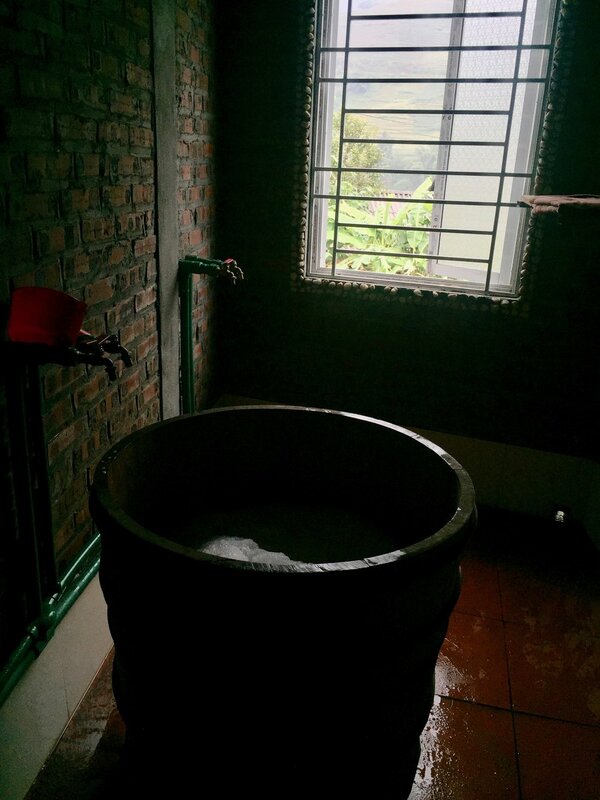 Western toilet and hot shower. This is a more upmarket homestay and looks beautiful. Read Emily Lush's review of it here, she also goes in to lots of detail about the surrounding area. 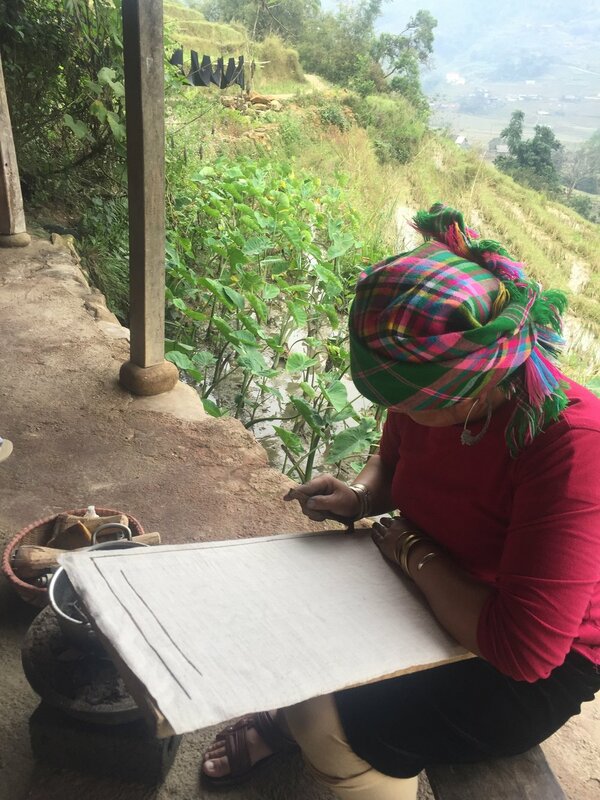 Who to follow on Instagram for inspiring textile stories from South East Asia. And if you find yourself in Hanoi and want to know where to shop for textiles and fashion, then head to my post here, it’s my most popular blog post ever!